With a motto "Life is so beautiful and comfortable at home", John.Gtm Studio has been specializing towards bringing a full blown studio at your doorstep. Your family, kids and pets are at their best time when they are in their comfort zone; therefore, we will be there to capture their best moment with our mobile studio setup which can be easily setup on your lobby or backyard. 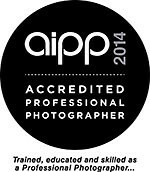 John Gautam , aka "John.Gtm" is an Accredited Professional Photographer by AIPP (Australian Institute of Professional Photography). John.Gtm has been a Travel and Landscape photographer. From the slopes of the Himalayas to the lap of the ocean, he has been capturing a life of its own. Dedicated and driven with passion in photography, he has started capturing numerous family portraits and events. With request from friends and family, it has brought a new horizon to his portfolio in Wedding, Family, Children, Maternity, New Born. John.Gtm is now a household name who can bring an unforgettable moment to cherish throughout your lifetime. We get small commission out of this promotion to keep the business rolling.